I have a problem. It's a kitchen gadget addiction. Ever since I was a kid, I've always wanted to try the latest and greatest cooking appliances – or at least every gadget featured on those late night shopping channel crap-athons. Well, that addiction just paid off: The Anova Precision Cooker has been bringing me stupid amounts of joy for the past few weeks. Sous vide, anyone? 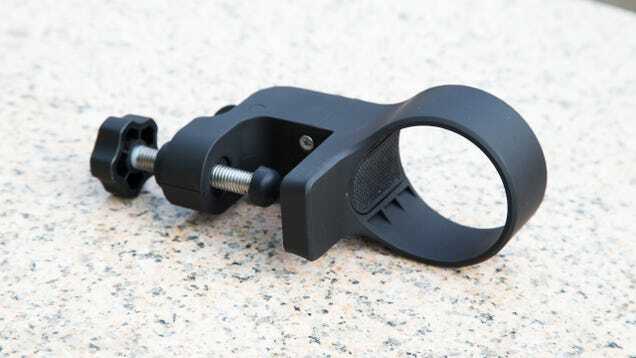 This gadget makes it so, so easy. 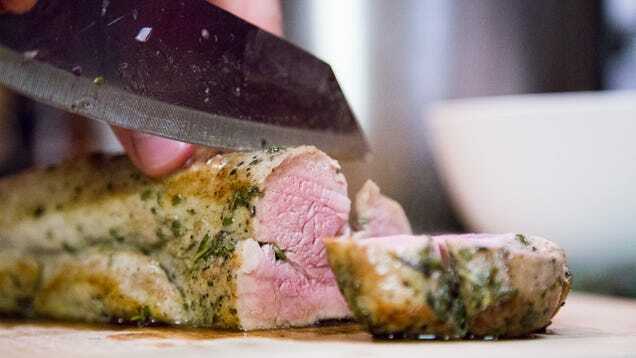 Here's a quick overview for those not familiar with sous vide cooking. Sous vide is French for "under vacuum". 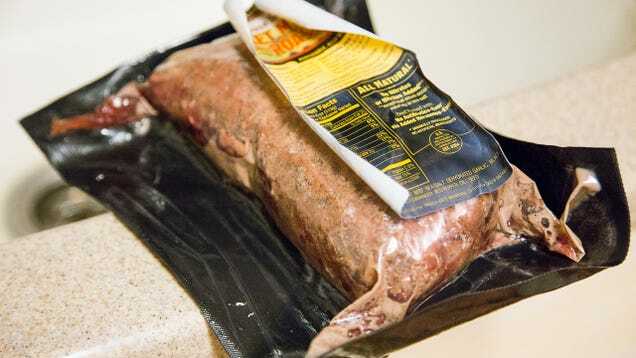 Generally, it involves taking the item you want to cook (typically meat), sealing it in a vacuum-packed plastic bag, and then submerging it in a water bath that is kept at a very precise, low temperature. Typically, you'll cook for an hour or two, but you can push it up to 72 hours and beyond. Yes, three-day short ribs are a thing. A wonderful thing. This isn't just kitchen nerdery for its own sake. Say, for example, that you want your steak to hit the "perfect" temperature of 133 degrees at its centre. If you were cooking it in a pan, grill, oven, or any other method that cooks from the outside in, then in order to get the centre point to 133, everything outside of that very center gets more and more over-cooked. With sous vide, the entire steak reaches that perfect temperature. It's completely even all the way through. 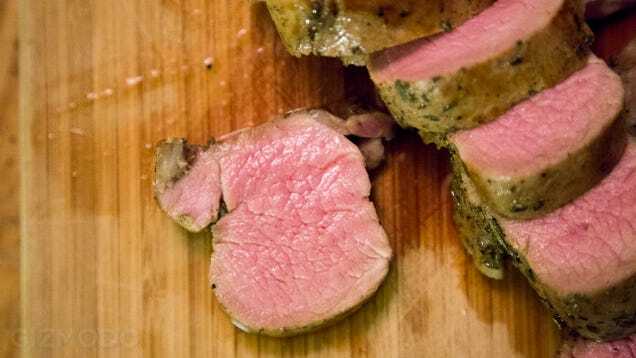 This slow and low technique can cook and pasteurise your meat and even allow for tough tendons to melt into buttery collagen without causing the surrounding proteins to get all tough and denatured. Because you're cooking below the boiling point, cell walls aren't generally broken, and because the food is sealed it retains its natural juices incredibly well. 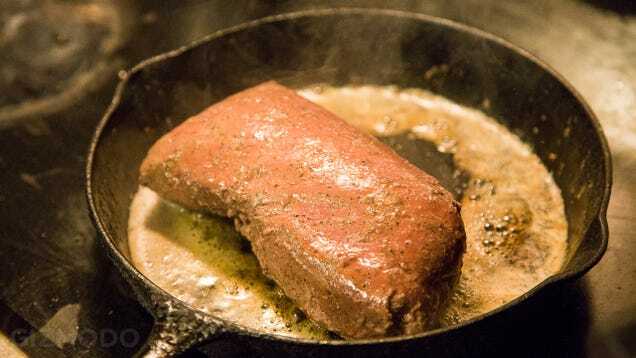 You just pull it out of the bag and give it a quick sear on a pan or grill just to induce the maillard reaction (i.e. that delicious caramelisation, which adds flavour, though the meat is fully cooked), and you're done. It is sublimely tender and juicy. I mean, it's toe-curlingly, eye-crossingly good. This technique has been used in top restaurants around the world for decades, typically using large, table-top sized hardware. Perhaps the best part is that it's almost completely idiot-proof. As long as you set the temperature correctly, it's pretty much impossible to over-cook your food. 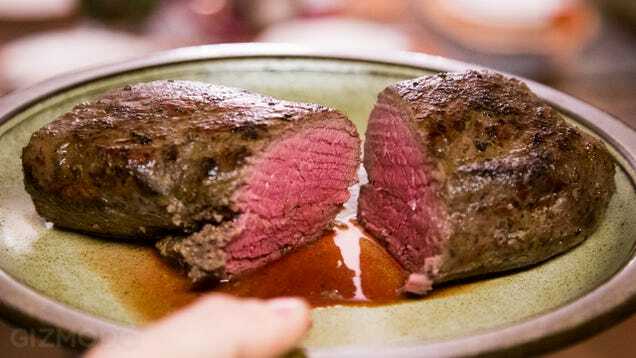 Even if your recipe calls for an hour of cooking, if you leave it in for two or three in most (but not all) cases your meat is going to be just as tender and juicy as if you'd followed instructions to the letter. Speaking as someone who has accidentally turned a nice cut of meat into jerky more times than I'd care to admit, this is fantastic. It also means that you can wait until all your guests arrive and are ready to eat before you pull out the main, give it a sear, and toss it on their plates. You don't have to worry about it getting cold, dry, or overcooked. 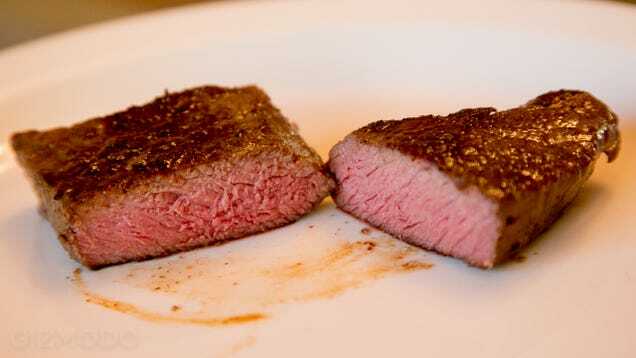 Serious Eats has a great article on the science of sous vide steaks if you're wanting a deeper dive. Despite it being relatively new to for the home chef, there are already more sous vide recipes online than you'll ever be able to use. If you just Google "sous vide _____" (blank being salmon, pork chops, zucchini, etc) you'll get a ton of recipes from very good sources. 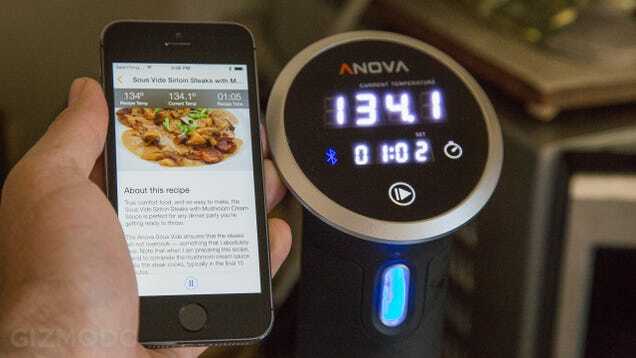 Anova actually has a recipe website that has a lot of great stuff, and so do most other food sites. There is competition out there. Most prominently there's Sous Vide Surpreme, which was basically the first company to bring sous vide to consumers, but they're the bigger, more expensive, microwave-shaped beasts. 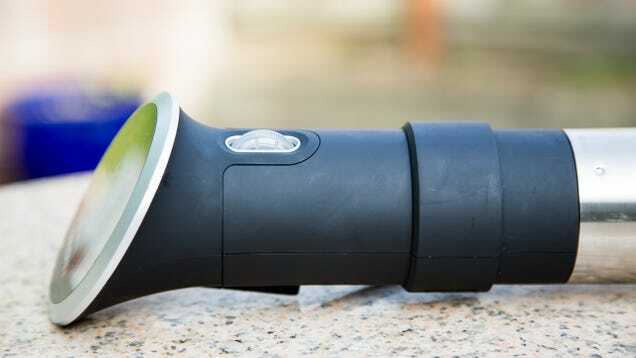 There's also the Nomiku, which is similarly shaped to the Anova, but costs over over £60 more. Nomiku will release a slightly cheaper version with Wi-Fi, which is something we're eager to test, but right now it's just pre-order. Anyway, let's talk about the Anova Precision Cooker itself. For starters, it's small. 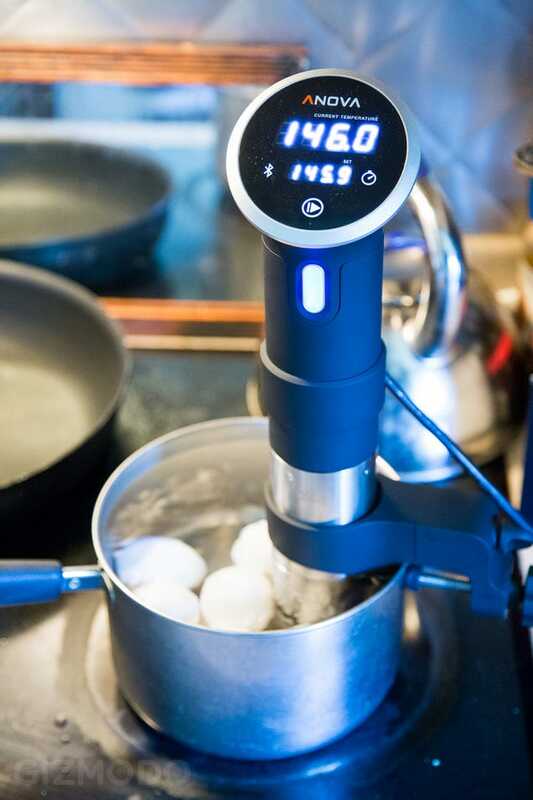 While many sous vide devices are large, rectangular vessels that hold all the water you'll need, the Anova takes a different approach. It's basically just a big wand. You clamp it to a large pot, or a cooler, or other container that you already own, plug it in, and voila. It's a cylinder that's about 15 inches by 3.5 inches, and I just tossed it into my carry-on bag for an 18 day trip, and it was just fine. In other words, it will take up very little space in your kitchen. The largest part of the machine is made of stainless steel, and there's a plastic cap on the bottom which can be rotated. This lets you control which direction the water enters and exits the circulator, which may help you avoid getting the corner of your plastic bag sucked in, which would block the intake. 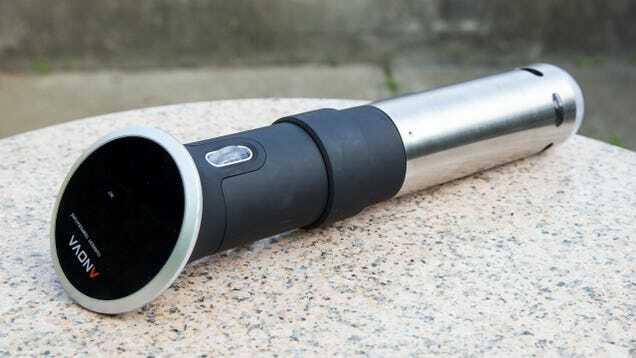 Inside the wand is the heating element as well as a thermometer and a water circulator. 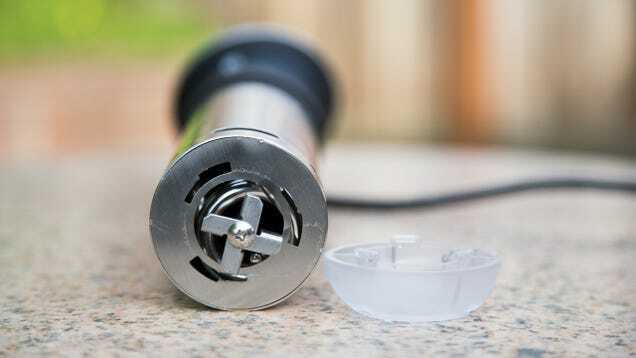 These elements work together to keep the entire water bath to very precise temperature, to within half a degree Fahrenheit—precise enough for cooking. 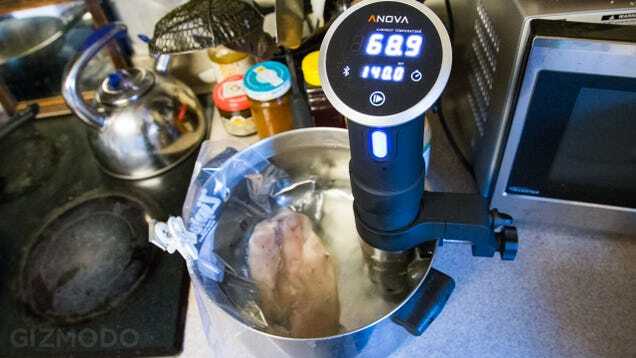 The Precision Cooker is Anova's smallest, but the company claims that it can still circulate about two gallons per minute and work in a vessel that's up to four or five gallons in capacity. I'd wager that's big enough for a dinner party up to about 20 people, depending on serving size. Obviously, if there's too much food in the pot and not enough water being circulated you may get uneven temperatures. If I do a larger cook in a larger container, I'll update this review. On the head of the device are two LCDs, both of which are very bright and easy to read. The larger one on top displays the current water temperature. The screen just below it shows the temperature you've set it to and how much time is remaining if you've set the timer. Below the screen is the start/stop button which has a few other functions if you long-press it. To the right of the display the timer button, and to the left of it is the Bluetooth button. Yes, Bluetooth. We'll get to that in a minute. Just beneath the head is a scroll wheel, which is what you use to adjust the temperature and time. Basically, if you just want to cook something, the Precision Cooker is incredibly easy to use. You just plug it in, select your temperature, hit start, and you're good to go. 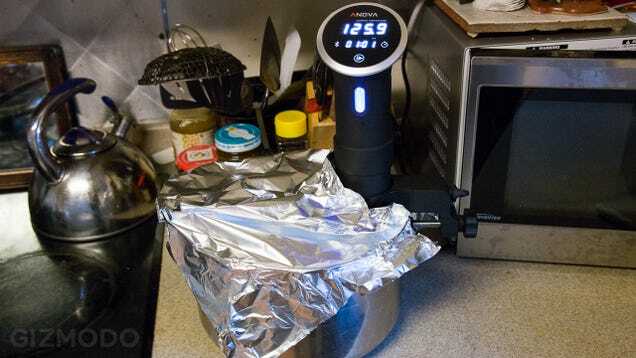 I found that if I started with hot water from the kitchen sink, the Anova would get the water up to my set temperature in less than five minutes. Pretty good. Obviously, it'll take longer if you're in a colder room or start with cold water. Using a container with insulation (like a cooler) will help it retain its heat using less energy, but I just used metal pots and found that it worked just fine. I used aluminium foil to create a make-shift lid, which helped retain heat and slow evaporation. The cooker has clearly marked minimum and maximum fill lines on the shaft, and the minimum is pretty low, which allows you to use a small pot for smaller jobs. I never had to add water during any of the cooks I did, though the longest I went was about three hours. For a 72-hour job you'd probably need to add water to your pot at least once. 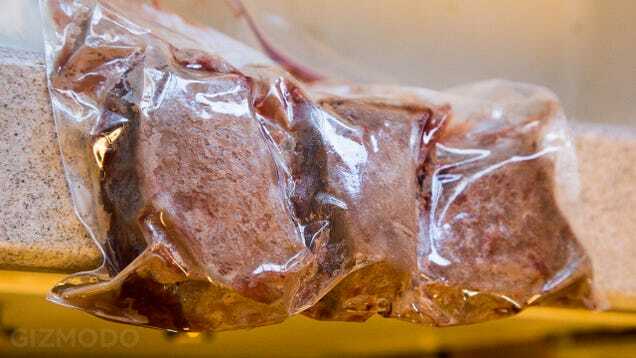 While sous vide means "under vacuum" you don't actually need a vacuum sealer with special vacuum bags for most jobs. 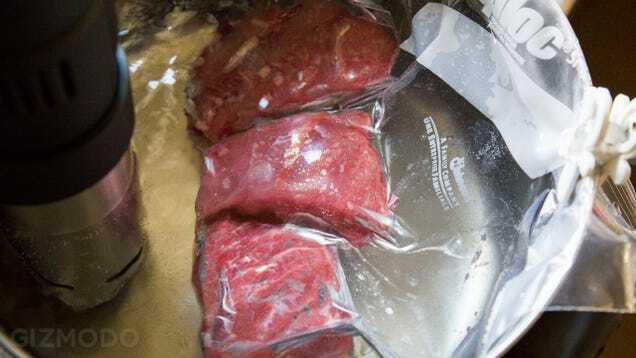 For the majority of recipes you can just use a Ziploc-type freezer bag and use the "immersion method" to get most of the water out. Basically, you put your foot in the bag and seal it except for one corner. Then you slowly submerge the food in the water until all of the air is squeezed out, fully sealing the bag at the very end. For cooks that go beyond a few hours you may need a real vacuum sealer, though, as I was told that the Ziploc may leak after a few hours. Also, make sure that whatever bag you use is BPA-free. While simply turning it on and cooking is easy, there is some wonkiness in the controls. For starters, if you want to use the timer, you have to long-press the start/stop button for eight seconds, which is weird, because there's a timer button right next to the screen, but it doesn't even light up until you do the eight-second thing. This is silly. Even sillier is the fact that holding the start/stop button for three seconds changes the units of measurement from Fahrenheit to Celsius. So if you want to start the timer, you have to hold start/stop for eight seconds, which will change the unit of measurement AND set the timer, and then hold the start/stop for another three seconds to change back to your original unit of measurement. Very poorly thought out. Note that the timer doesn't actually shut off the Precision Cooker when it goes off. It's just a timer, and it just keeps loudly beeping until you come deal with it. Not shutting off is probably a good thing, since you don't want your food to start cooling before you're ready for it. Then there's Bluetooth. You can pair the Precision Cooker with your favorite iOS device, and then use Anova's app to automatically set the time and temperature. The app will show you the current temperature as well as the set temperature of the unit, which is fine, except that Bluetooth has a really short range. I set the unit using the app, then went into the other room and boop, signal lost. It would probably make more sense to have it connect with your home Wi-Fi network, so you could monitor it through any internet connected device in any room (or even remotely). Also, the machine is easy enough to use as is, and Bluetooth just feels unnecessary. My first experiment was eggs. 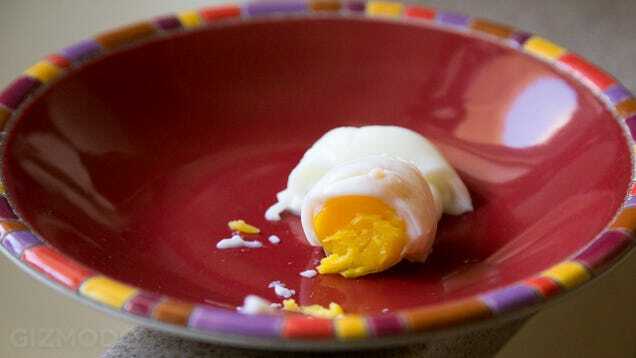 You can't really soft-boil an egg in a sous vide, because that relies on rapidly heating the white before the yolk gets hot and sous vide is all about slow. 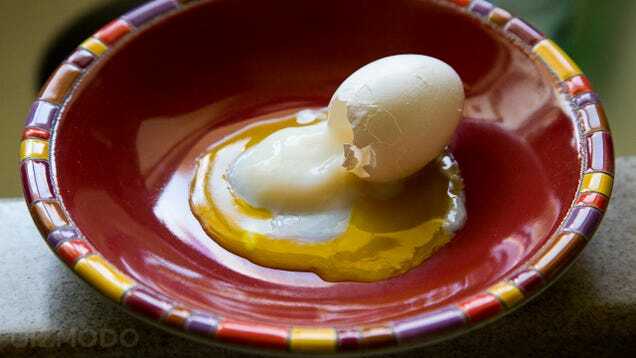 That said, you can "poach" an egg in its shell, and you can definitely hard-boil to perfection. I first tried eggs at 146 degrees F, but the white was runnier than I wanted. So I turned the heat up to 150.5 degrees F, which did indeed produce a pretty nicely poached egg. The yolk was nice n' gooey and the inner egg white had a nice texture. Cranking it to 165 produced a really perfect hard-boiled egg. 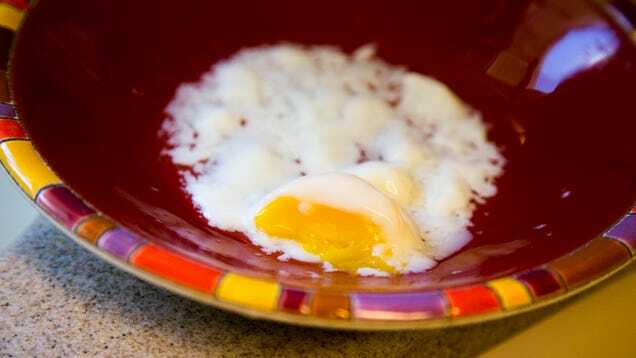 The yolk had solidified but it was still soft and moist and had excellent texture. Next up, chicken breast. It is really, really easy to over-cook—or under-cook—breast meat, and either way is, well, not ideal. Why not have ideal chicken, right? I sealed the breasts in a ziplock, and cooked them for an hour at 140 degrees F. If you're cooking chicken or turkey in the oven, they tell you 165, but if you're slowly cooking sous vide style 140 for an hour is plenty. When it first came out of the bag it looked really weird. I gave it a quick sear though, and the results were absolutely delicious. 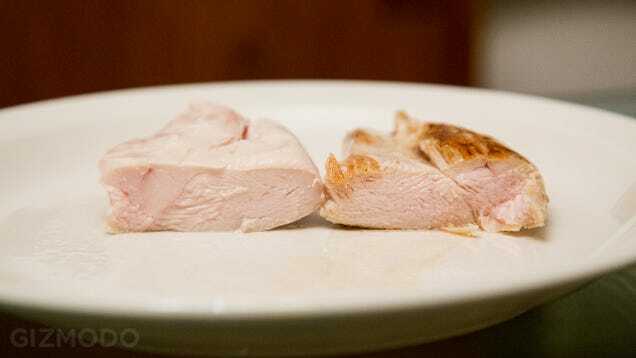 This is possibly the most tender, juicy chicken breast I'd ever had. It was just perfectly cooked all the way through. You could easily cut it with the side of your fork and the flavour was fantastic. It was finally time to try some steak. I grabbed some top sirloin from the grocery store, rubbed it with a little salt and pepper, bagged it up, and put it in for a little over an hour at 134 degrees F. When I pulled the bag out of the water it looked absolutely disgusting. 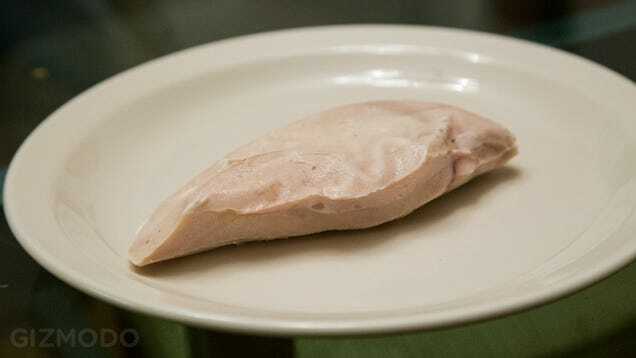 It's really weird to see your meat one single, bland-looking color. But then I gave it a quick sear, and holy crap, it was amazing. Sirloin isn't usually my favourite cut but I'll be damned if this wasn't one of the best steaks I'd ever had. It was so perfectly tender. It was cooked to perfection all the way through. Moist, juicy, amazing. This is when I started getting really excited about this thing. My next test was a little crazy. I went and purchased a pre-seasoned fillet mignon. I figured, what the hell, it's already vacuum-sealed, so I just dropped it into the pot as-is. Maybe that was dumb because I have no way of knowing if TJ's uses BPA-free plastic, but hey, science. Oh my god. Oh my god oh my god. It was so absurdly good. And here's where you really see the power of sous vide. Despite the fact that this cut of beef ranged between 1.5 and 2.5 inches thick, the entire thing was cooked absolutely perfectly and evenly all the way through. Just look at that. 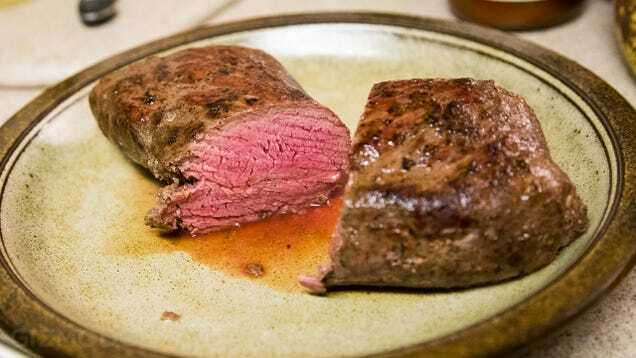 I served it to a handful of friends and they all said it may have been the best beef they'd ever had. Total triumph. I also did a pork loin, set to 135 degrees F for about 90 minutes. It was killer. Oh, and I did a mahi mahi fillet at 134 degrees F for half an hour. 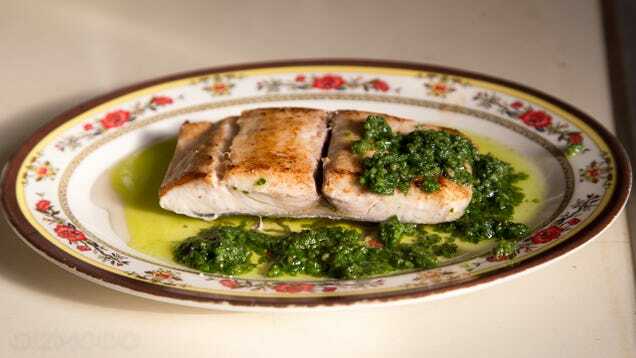 Mahi mahi is my favourite fish to eat, but I over-cook it nearly half the time which makes it dry and tough. Not here! I gave it a quick sear on the skinless side. It was perfectly flaky and had amazing, rich flavour. Added a little fresh pesto and I was in heaven. The only one that didn't fully do it for me was a hamburger. To be fair, I had an under-powered gas grill on a very cold night (about 20 degrees F), so I wasn't able to get a proper sear on the patty after it was done bathing. Still, the flavor was pretty good and it was very tender. Will have to try it again. Overall, this was a huge success. I'm not sure if I'd do it again for chicken breast, and the jury is still out on burgers, but for steaks, pork, and fish: huge win. You can use it for veggies, too, but I was too swept up in meat-lust to try it. The food this thing produces is just so good. Tender, juicy, perfectly cooked perfection, pretty much every single time. I love how portable it is and how little space it takes up in your kitchen (or backpack). The clamping mechanism feels very solid, and it's wide enough to accommodate a lot of different sized containers. It's truly almost completely silent. The display is very easy to read and the temperature is very easy to set. I also found it maintained temperature extremely well. Once it was up to temp, the most I ever saw it vary was by 0.2 degrees F, and usually only for a quick moment. Impressive. The timer is unreasonably difficult to use, with lots of absurd long-pressing required. I found that it had trouble pairing with both an iPhone and an iPod Touch via Bluetooth. Even when it did pair, the app was pretty limited, not laid out very well, and it didn't really add much functionality. Plus, the range on Bluetooth is too short for you to be able to monitor how things are going when you're in another room. Yes, certainly. I'm practically in love with this thing, and you may well join me. At $229 (EU plug model, converts to £154; costs £197 all in with delivery from Anova) it seems like a really reasonable price. Yeah, there's a little wonkiness using the timer, and the Bluetooth is unnecessary, but you don't have to use either of those features. Fix the timer, and it would be an A+. As is, it's an A-.